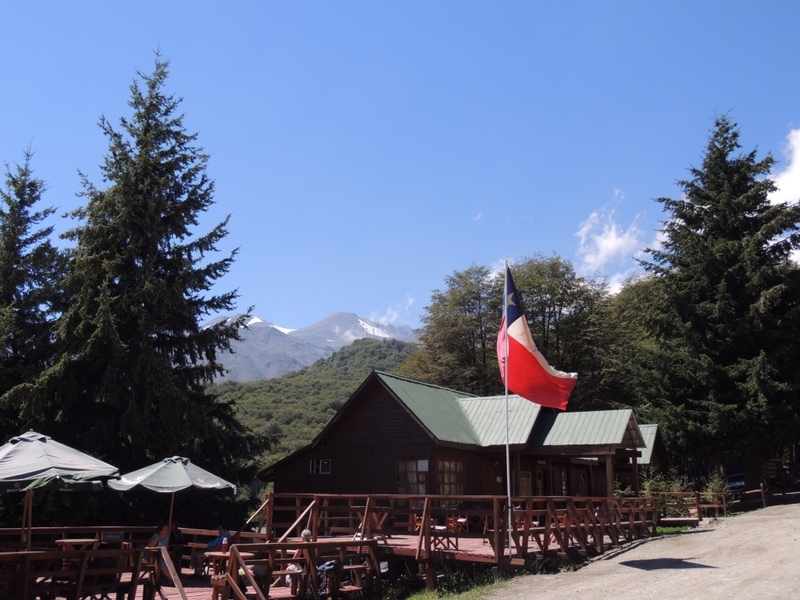 I arrived at my quiet hostal in Chillán on Monday afternoon. Having unsuccessfully scoured the usual Internet sites for hostals in the area I settled on Casa Sonia Segui, noted in my guidebook as having an excellent breakfast, great beds and dirty bathrooms. I was rapt to pay just 5000CLP ($10AUD) for a double bed and nobody else to share my room with. Initially I was dismayed to find there was a serious lack of people (roughly zero) my age at the hostal. However, the hosts were friendly and I realised that its nice to take a step back, have some time to reflect on your trip and catch up with people online who you haven’t had a proper chance to speak to. I took a short walk around the local market that afternoon and returned to the hostal with some dinner, ready to plan my trip to the Las Trancas valley the following day, my main reason for stopping in Chillán. 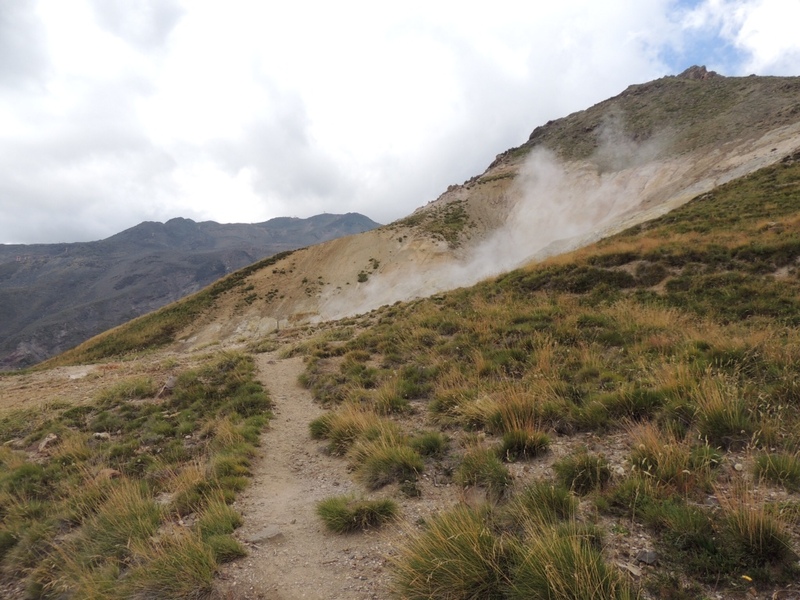 I later learned from a guy who gave me a ride into the volcanic region that Las Trancas contains 11 extinct volcanoes, which are used to provide the high-sulphur volcanic water for the hot Termas (hot springs) in the mountains. 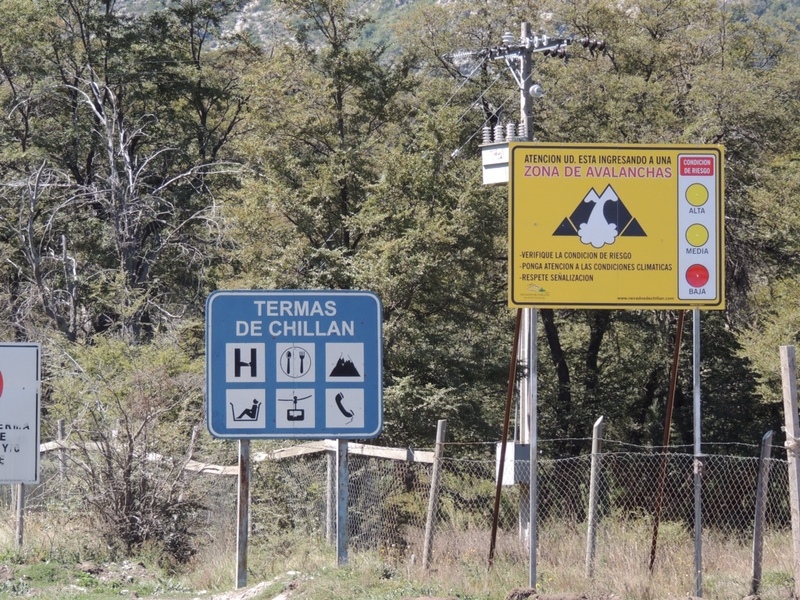 The next day I took the bus to Las Trancas, with the intention of hitchhiking the last few kilometers into the mountains. I kicked myself for having woken up so late, as the bus ride took longer than expected, with multiple stops along the 100km route that initially descended into the valley and became more undulating as we approached the largest volcano, Volcan Chillán. The ride was made even more pleasant by a large police officer who seemed to have misplaced his patrol car, he seemed intent on giving me a great view by pressing me as close to the window as he could. 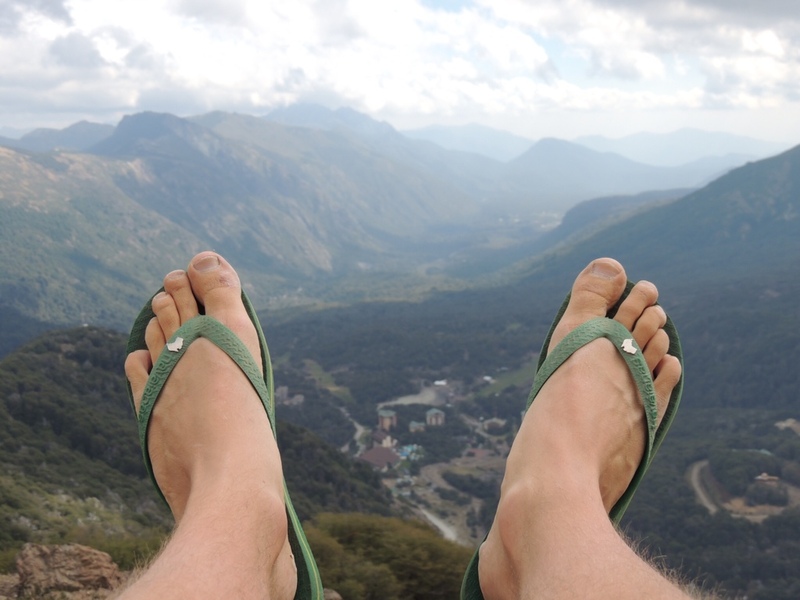 Thankfully, there was plenty to look at, as the vibrant green of the valley backed onto the distant, snowy peaks of the Andes. In Las Trancas I hitched a short ride from a young guy who knew a lot about the local area. 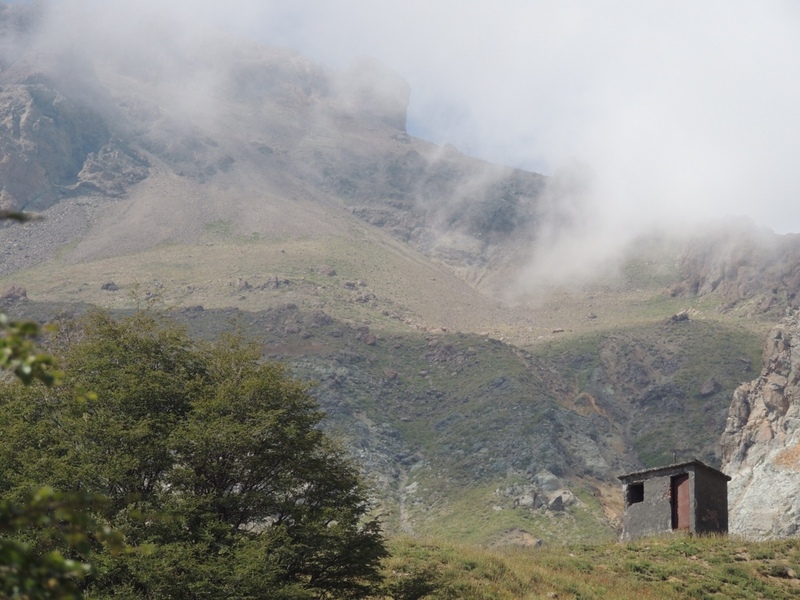 He dropped me off at the base of two Termas and recommended I hitch a ride later on, higher into the mountains for a short trek to the summit. 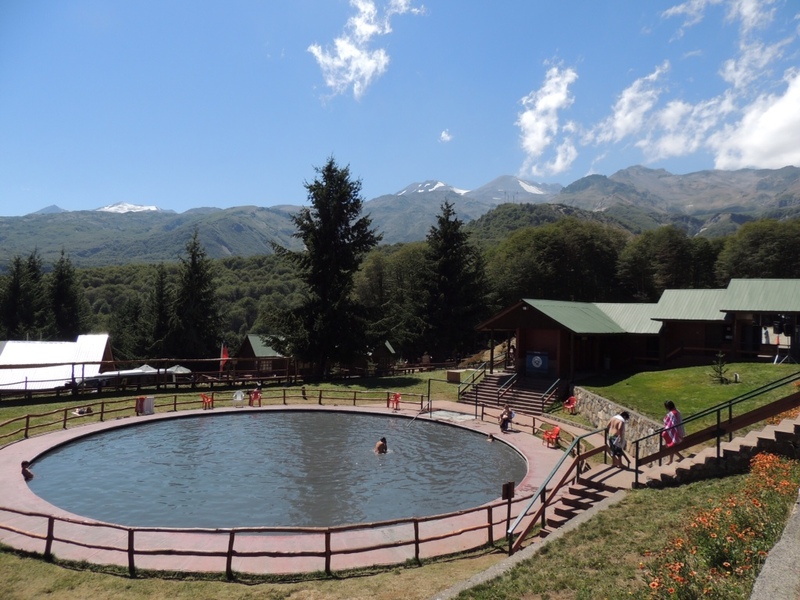 The termas weren’t quite what I was expecting – the area was overdeveloped and had a cheap touristy feel to it. I spent a couple of hours enjoying the 40 degree water and then hitched a ride to the highest accessible point by car, which is the base of a short 1 1/2 hour hike up one of the mountains. Cursing myself for my choice of footwear, I made the climb to the summit. The walk was densely vegetated and the path narrow and steep. The views were rewarding though, as I looked back down the valley and across the the (snowless) ski runs that make Las Trancas a winter sports haven. 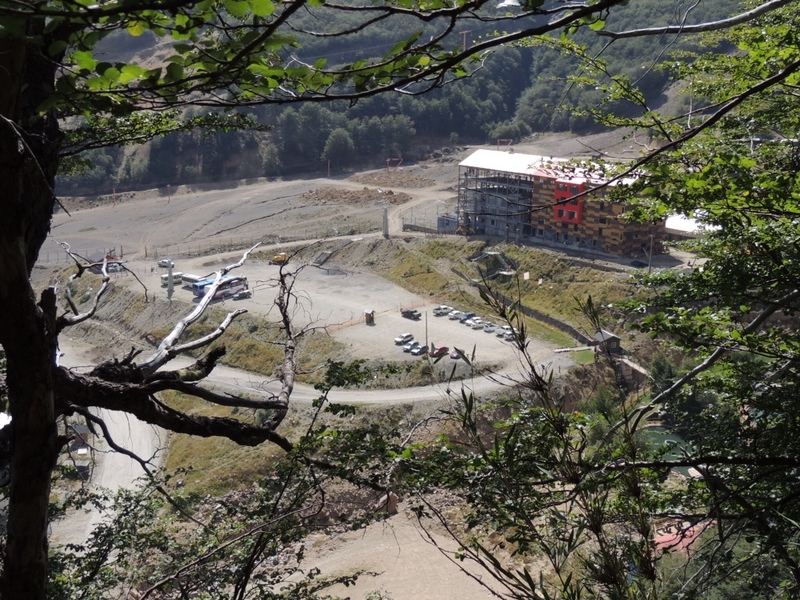 I thought about the extensive development in the valley below as I climbed, and questioned whether this was really the south of Chile that I wanted to experience. A friend of mine from Vermont, whom I met in Santiago, has experienced some of the untouched beauty of Patagonia and written about it here. His writing has inspired me to push past the boundaries of tourist traps and propel myself into some of the incredible places on offer to those willing to work a little harder to get there. As I head further south I am hoping to meet some people with similar ambitions (and more trekking experience than me!) whom I can learn from during the course of my adventure. 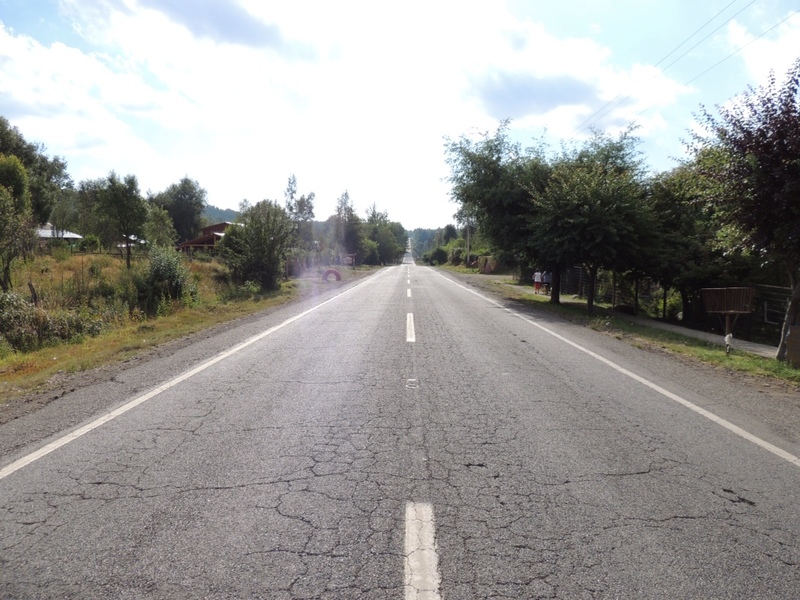 I was obviously wearing my lucky hitchhiker’s thumb again, as I managed to make the entire return trip to Chillán (120km) scoring four different rides from helpful Chilenos, the last being a teacher from nearby Pinto. 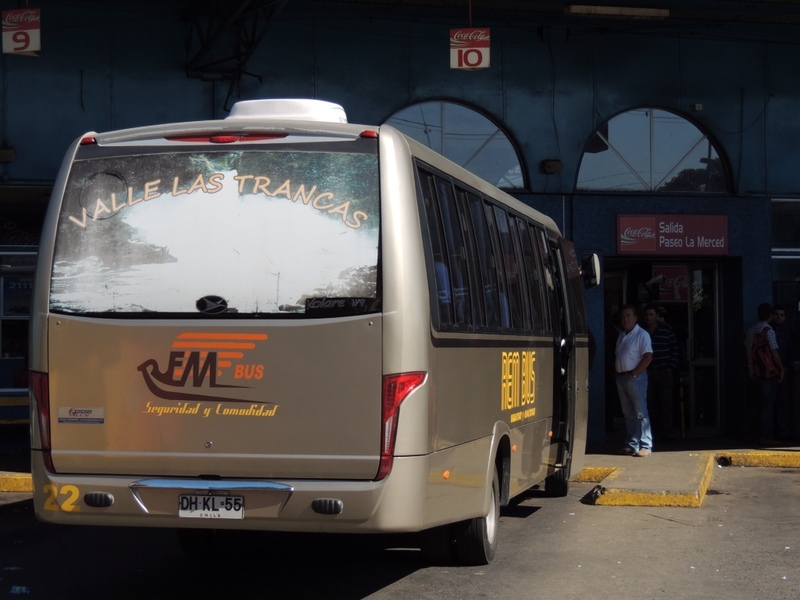 I thanked my new Chilean family again, as I realised my Spanish had improved enough to have plenty of conversation with those giving me a ride. I spent my last afternoon in Chillán checking out local museums and artwork recommended by the local Oficina Turístico. 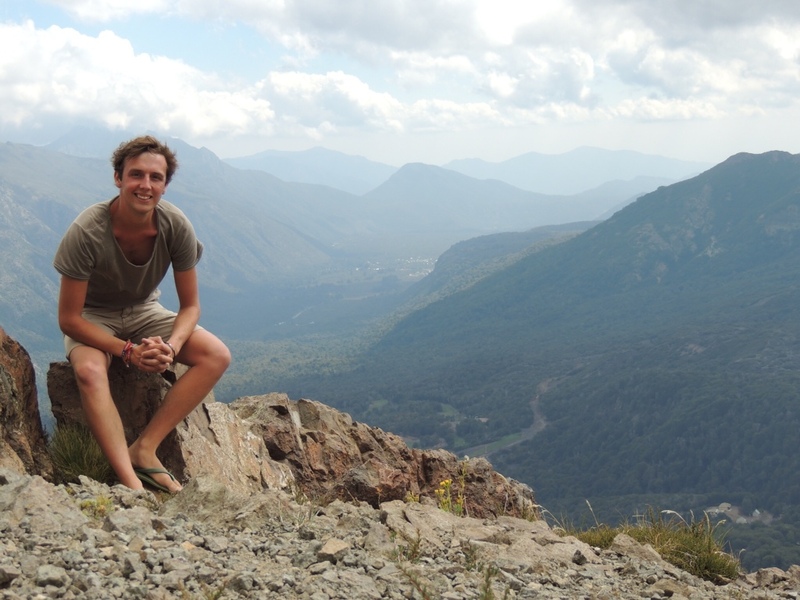 Honestly, I wasn’t overwhelmed with the city of Chillán. There was a lot of roadwork, and some of the local crazies started to get on my nerves. Today, I head to Chile’s second largest city, Concepcion. From there, the journey becomes colder and less populated as I make my way further south to the national parks and valleys of Patagonia. As I mentioned, Chillán itself didn’t stand out for me. However, it is a great place to base yourself and plan trips in the Bio Bio region. 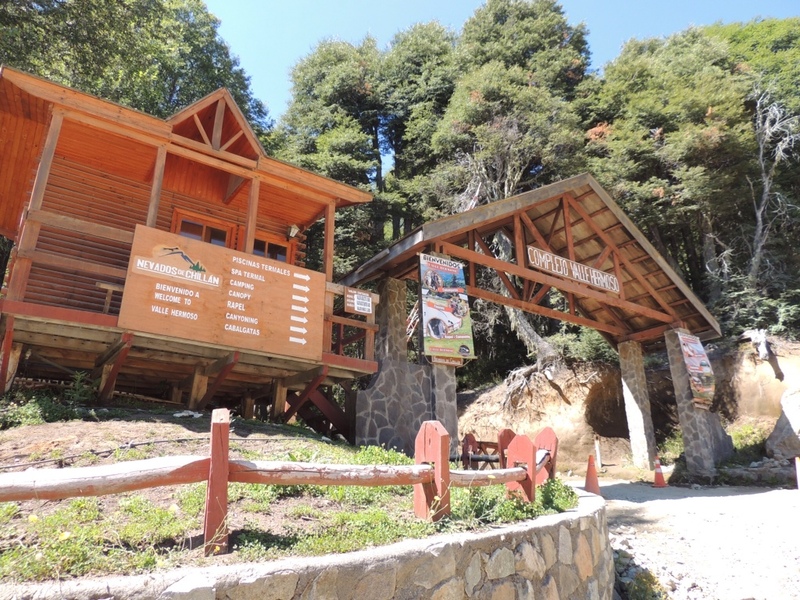 The Chillán Oficina Turistico has information on all of the nearby towns and attractions – it is a must visit. Gracias Chris, I’ll be in touch if needs be! 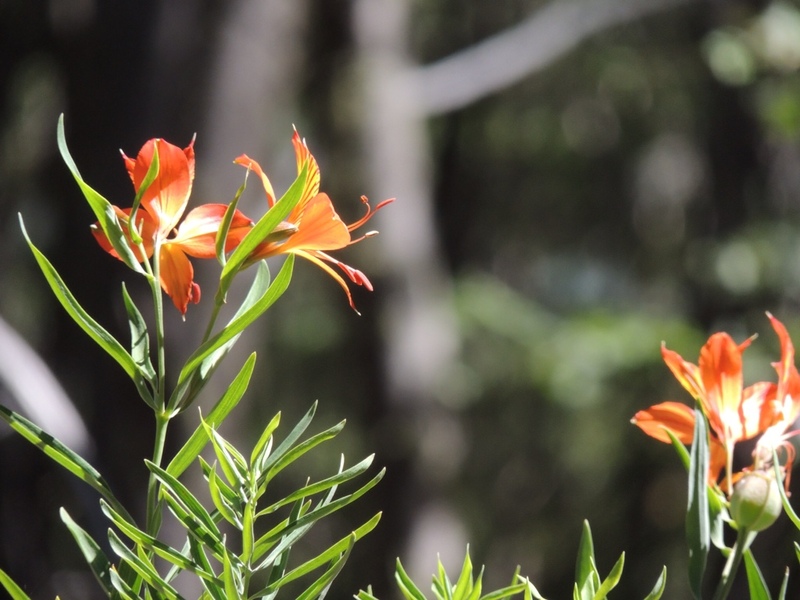 I’m moving through pretty quickly as things are getting expensive down south and I need to find a camping ground where I want to do some hiking. Glad you’re enjoying the blog, please tell Mehrdad that I read ‘The Promise of World Peace’ and found it quite interesting. I recommend he reads ‘The Life of Pi’ by Yann Martel. There is a lot of hype around it at the moment due to the release of a movie, but I think the story may appeal to him.